How can I go pro? Basically i've started playing soccer since I was 5 years old and right know Im 16 years old. I play for a club called south hills f.c and I feel like I have improved so much my goal is to go professional and I know for this I have to work hard. I want to go pro by like 19 or 20. How can I do this ? I want to bring my level in soccer higher like you going professional. I want to know your experiences on how did you accomplish your dreams or goal? Jose, It seems like you are driven and know exactly what you want, which is always the first important step. First let me answer your question about turning professionally. You are going to need to develop some things before you do this, both on and off the field. Outside of the lines of a soccer field turning professionally is an extremely competitive field. Every kid and his brother wants to play for a top club, so how do you get your shot or seperate yourself from everybody else? Simple, you need these five things. -A soccer resume highlighting who you are, where you've played and what you bring to a potential team. -A 5-8 minute highlight reel of yourself playing in games. -Full tape of your playing matches. -Coaches, players, directions etc that can vouche for your quality as a person and player. -After developing all these things you can start contacting FIFA registered agents to helps you get trials. We could go on for days talking about how your touch needs to be better, how your shot needs to be this or that but let me give you three things you need to have to have an opportunity to play at the next level. 3) Ability to play quickly, one and two touch. So What Was My Path to the Profesional Level? Well Jose just because I made the leap to the professional ranks does not mean that I had an easy ride there. I struggled at my first trial and had my bumps in the road along the way dealing with confidence and all the other issues a player goes through. I got to the professional ranks by applying the tools above, to get an agent to set me up a trial and above all else I was willing to do whatever it took to prepare myself. Hope this has helped, good luck to you. Join in and write your own page! It's easy to do. How? Simply click here to return to Contact A PRO. I am moving to georgia from Barbados and I was wondering what do I have to do to get a try-out. Andre, good question. I am not completely familiar with how things work in Georgia as each country is different but I can give you my thoughts based on my experience in other countries in Europe. Ideally first you will need an Agent. You can do it other ways but this is the best proven and most professional method of getting a professional tryout. I'm not sure the level you've played at or your quality as a player but I would also highly recommend you start taping all of your matches you play in. No matter which league they may be in, just make sure they are matches not practices. By doing this you will start to build a portfolio which you will present an agent after contacting them. Along with your highlight tape you will also need to start developing a player CV. This is much like a resume for a regular job. It has your attributes as a player, where you've played etc. This is the single most important thing an agent will look for. Before they even say hello back to you they will ask you for your CV and highlight tape. Without both of them being of a high quality you will not even get a second email so make sure they are good. Because you are going to Georgia it is best to get into contact with an agent from within that area. Generally agents have the most contacts in the country they live in, which is to be expected. The agent will try to set up a tryout for you and possibly get the opportunity to showcase your skills. Other less proven methods of getting a tryout may include an open tryout with a club. Generally a club will post them on their website and there is a fee to join. This is more for experience than anything else as these are usually money makers but still worth going to. You can do it the old fashion way and show up to a training session of a team, talk with the coach and ask him if you can train with their team. This is less professional and it is likely he will say no but it's worth a shot. The best and most proven way is to get an agent, try the others after you've tried this first. 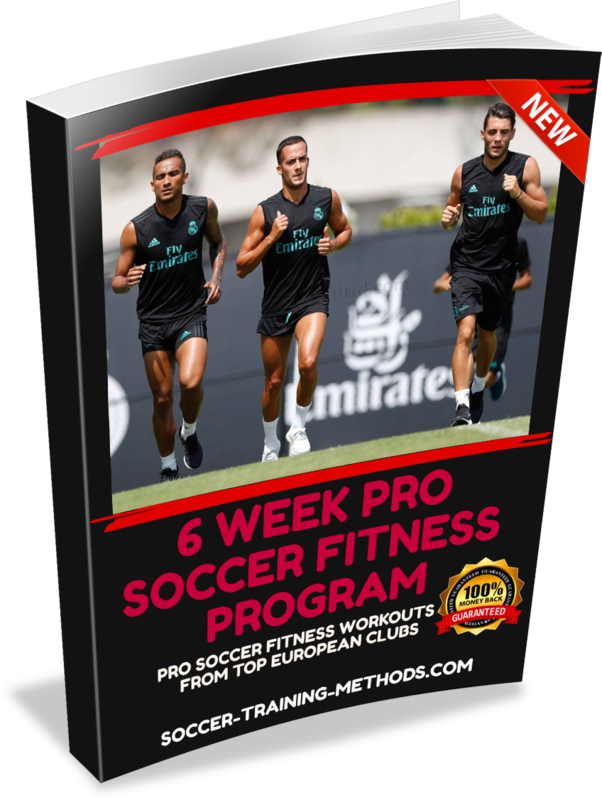 If you are truly looking to play a high level a resource that is a must to prepare you for your pre season or off season training is this 6 Week PRO Fitness Program that will get your fitness up the pro level. Good luck to you. Hope this has helped. Here's your chance to ask a professional player anything about the game. 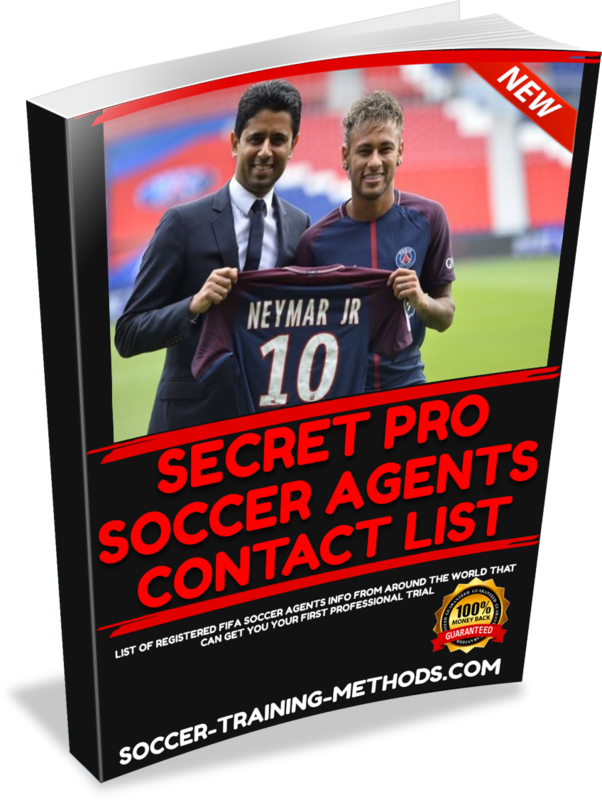 Secret Pro Soccer Agents Contact List!